Move over Higgs — it’s neutrino time. 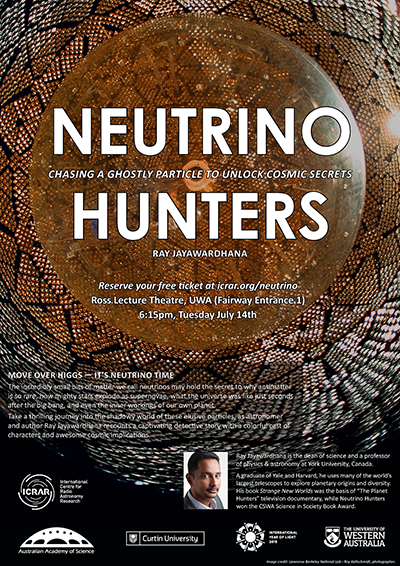 The incredibly small bits of matter we call neutrinos may hold the secret to why antimatter is so rare, how mighty stars explode as supernovae, what the universe was like just seconds after the big bang, and even the inner workings of our own planet.Take a thrilling journey into the shadowy world of these elusive particles, as astronomer and author Ray Jayawardhana recounts a captivating detective story with a colorful cast of characters and awesome cosmic implications. Time: 6:15pm for a 6:30pm start. 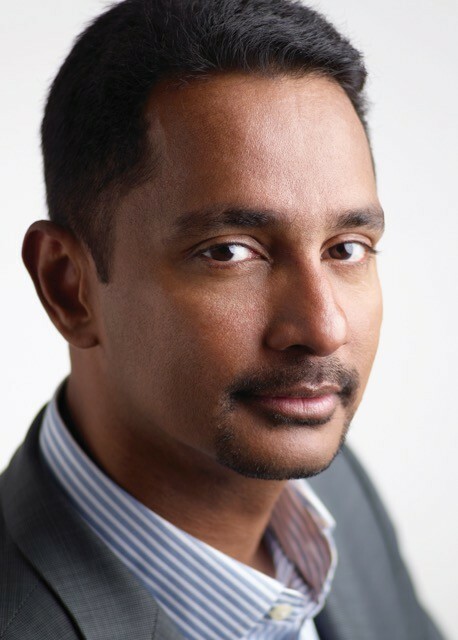 Ray Jayawardhana is the dean of science and a professor of physics & astronomy at York University in Canada. A graduate of Yale and Harvard, he uses many of the world’s largest telescopes to explore planetary origins and diversity. He is the co-author of more than 100 papers in scientific journals, and his findings have made headlines worldwide. He is also an award-winning writer whose articles have appeared in The Economist, The New York Times, The Boston Globe, Scientific American, and more. His research and writing have led to numerous accolades, including the Guggenheim Fellowship, the Rutherford Medal, the Steacie Prize, and the McLean Award. 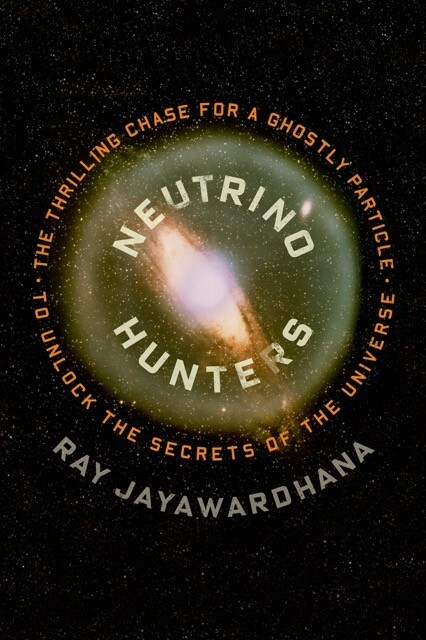 His book Strange New Worlds was the basis of “The Planet Hunters” television documentary on the CBC, while Neutrino Hunters won the CSWA Science in Society Book Award. Ray is also a popular speaker and a frequent commentator for the media.